Filling grain wagon with wheat from combine auger. The boy was visiting family in Tennesee when the accident happened. LAWRENCE COUNTY, Tenn. -- An Idaho boy died in a horrific farm accident Saturday while visiting relatives in Tennesee. 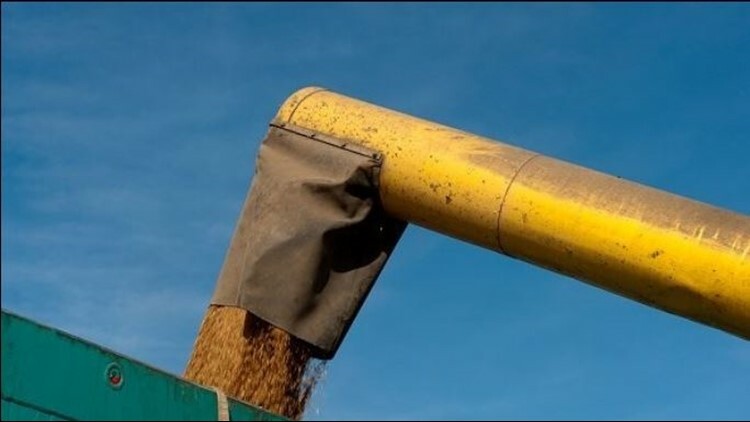 According to the Lawrence County Sheriff's Department, 6-year-old Shawn Hudson Corum of Victor became entangled in an auger system inside a grain silo. Despite the efforts of first responders, the boy died from his injuries at the scene. "Please pray for the family and friends of Shawn as well as the emergency personnel who responded to this tragic accident," the sheriff's office posted.